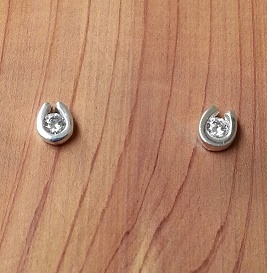 Small horseshoe earrings set with CZs. These are perfect for the younger equestrian in your life or barn. The perfect start of any girls horse jewelry collection.